Among the many important financial planning tools is asset protection. This method works within legal parameters to safeguard an individual’s wealth (assets) from creditors attempting to pursue and claim them. The strategies that are employed to protect valuable assets can be applied to both individuals and businesses. Therefore, personal asset protection can be a worthwhile task for those who have assets that could be seized by creditors. 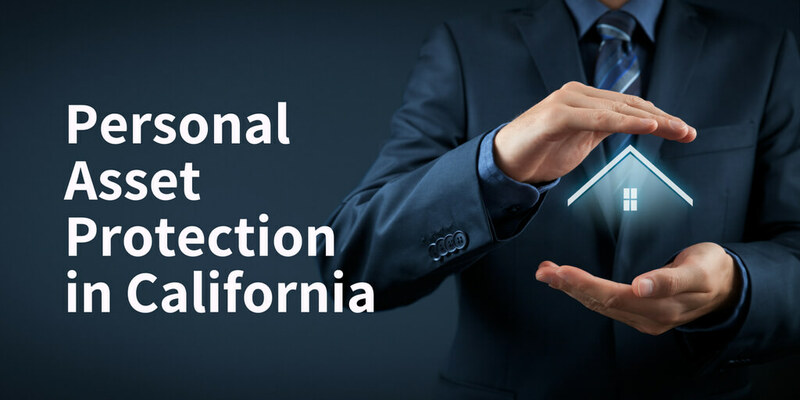 Unfortunately, California is not a state that has many asset protection tools, but there are some planning measures that can provide a level of protection. One way to protect personal assets is through a trust in estate planning. This allows for the trustee to control exactly what happens to the assets in the trust once they pass away, and for the beneficiaries of the trust to receive their appropriate share of the assets. However, this does not provide the same level of protection as an asset protection trust in other states as the assets can be seized for specific legal purposes like alimony. Another method that could provide some protection of assets is the California Homestead Exemption. This exemption allows for individuals to be safe from a creditor forcing them to sell their home so that the equity of it pays off the debt they owe. This is a useful tool, because in other jurisdictions a creditor could force the sale of the home as it is one of the debtor’s personal assets. However, if a debtor in California does choose to sell their home, the equity from the sale is protected from creditors up to a specific exemption amount. For example, if the debtor is married, the equity of the sale is protected up to $100,000. After this exemption, a creditor can seize the rest of the equity. Again, since California does not have strong asset protection, even this homestead exemption can be nullified if the creditor is the Internal Revenue Service (IRS) or for child support.